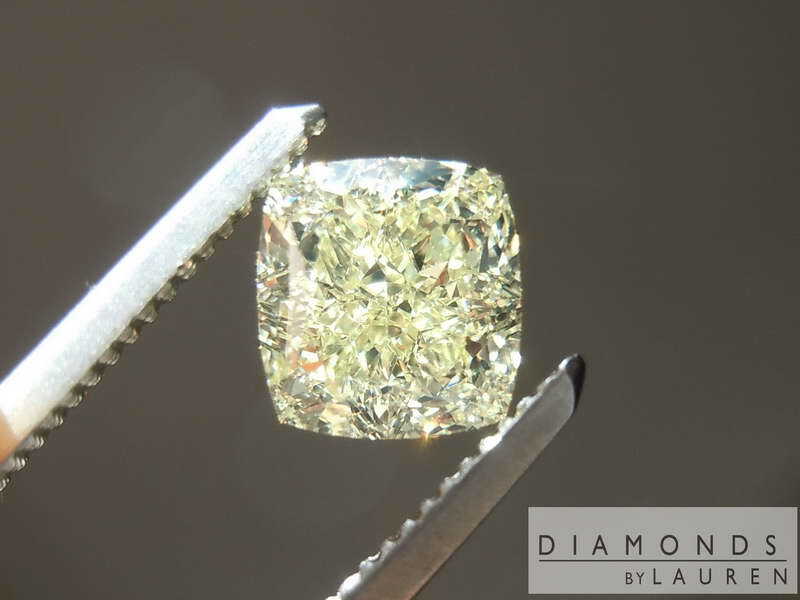 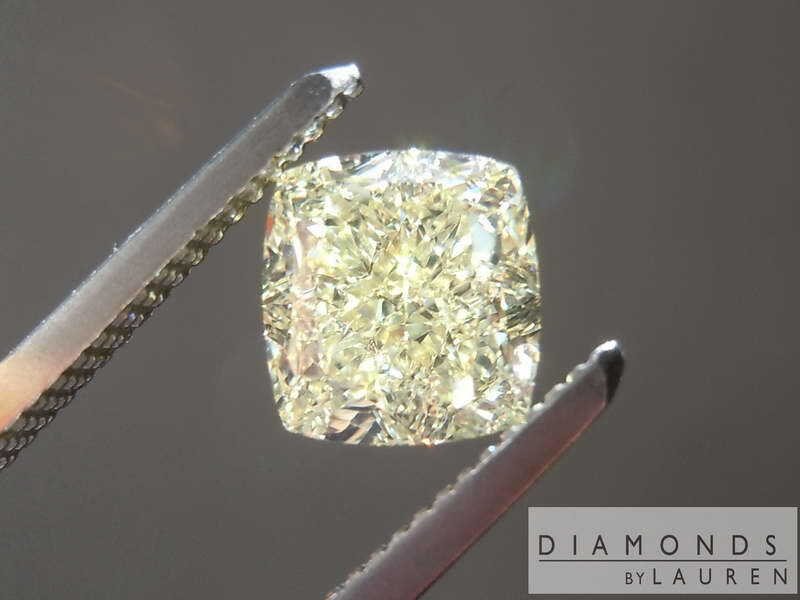 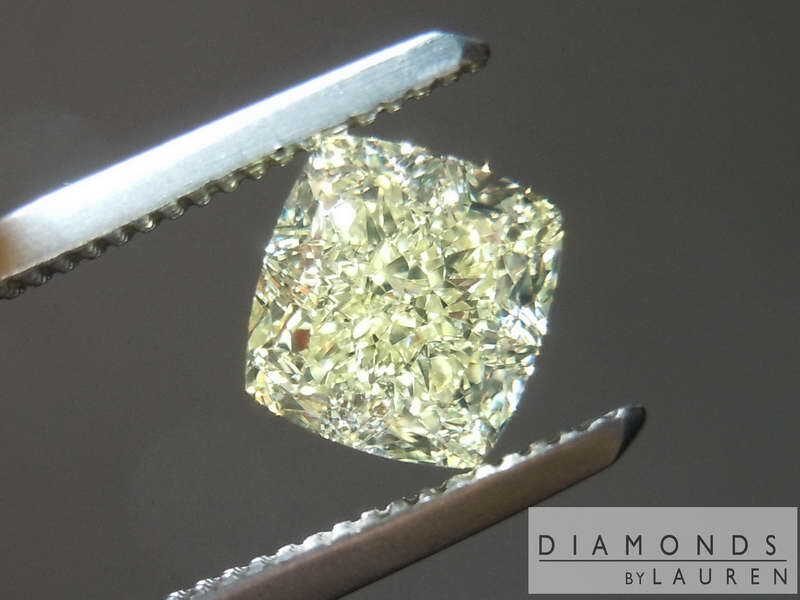 Here is a truly well cut squarish cushion diamond. 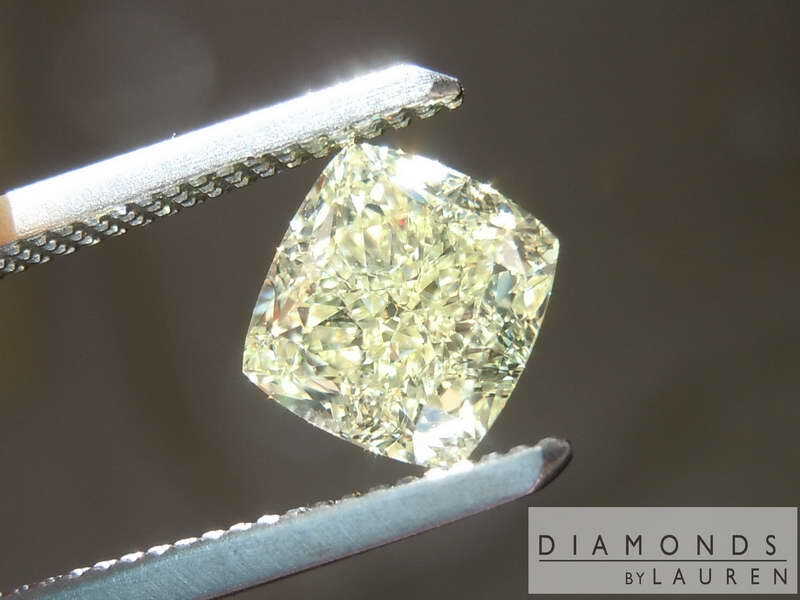 It has an even, bright sparkle - no large dark areas. 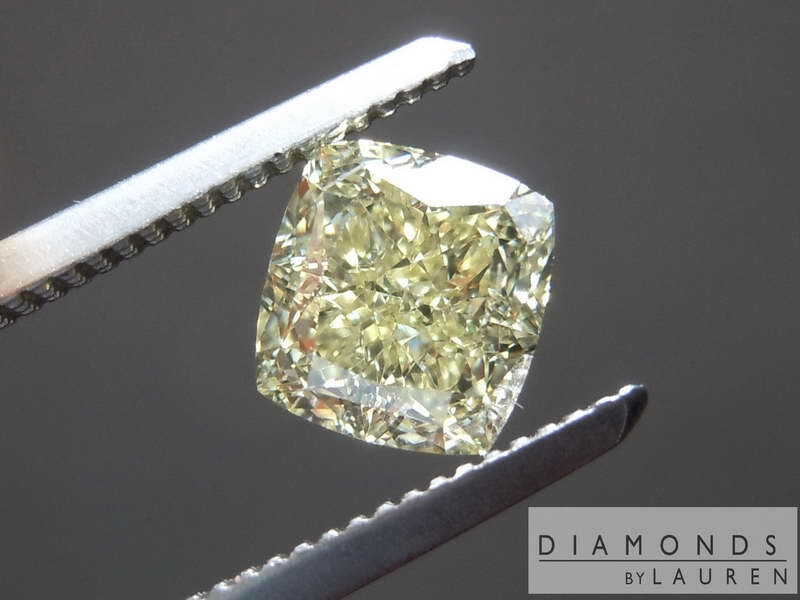 The color is light lemon yellow- attractive! 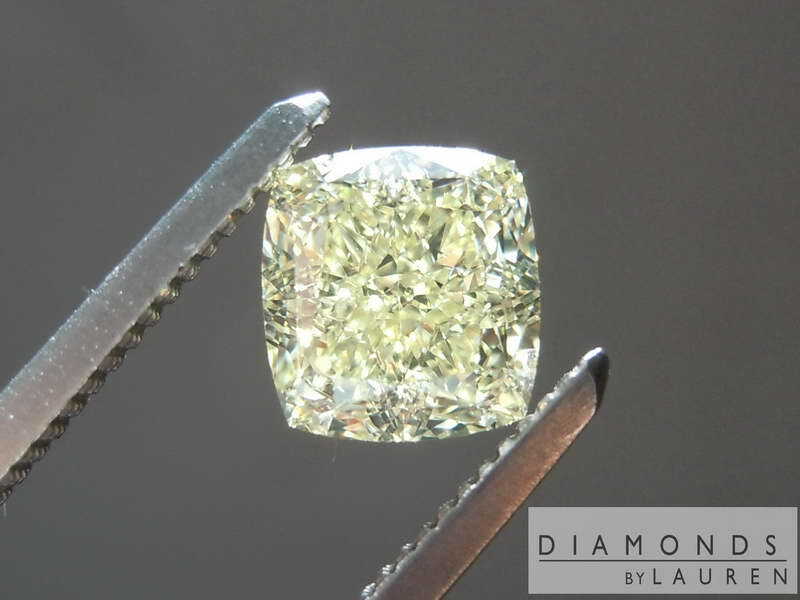 Fancy Light yellow. 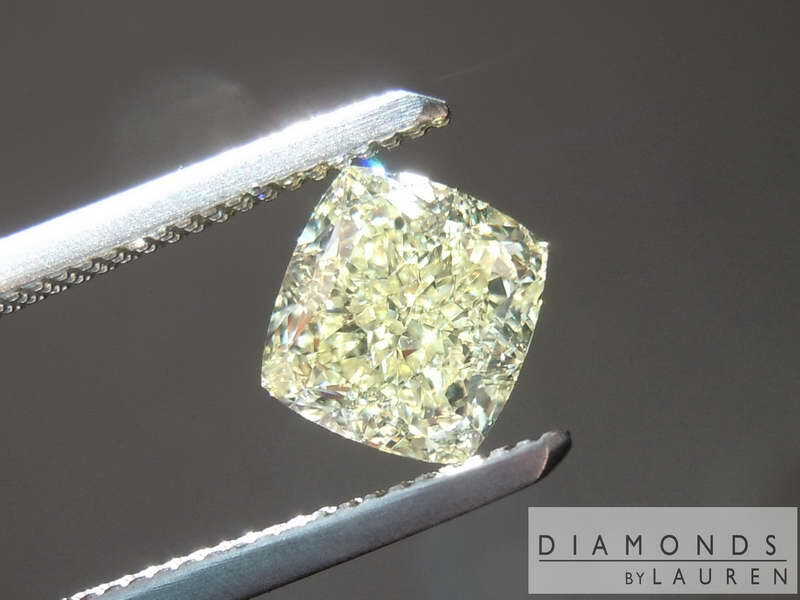 VVS1- it is a very clean diamond.